This is a book that will be tremendously helpful to LGBTQ Christians who struggle with self-acceptance and believing they are loved. Everything about this book is inviting — from the cover to the layout, to the warm, gentle tone that Susan Cottrell, the mother of two LGBTQ adult children, uses throughout. It’s the book that I wish I’d had available to me when I was coming out and struggling with all of the “debris” (to use Susan’s word) that my evangelical church had left me with. It’s a book that I immediately want to buy in multiple copies to pass along to friends, particularly those who are just starting the coming out process. 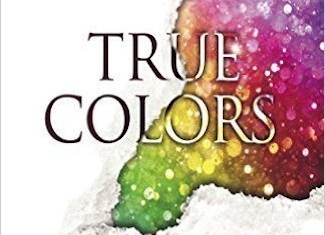 As part narrative and part workbook, True Colors is divided into three sections: focusing on healing and finding peace in your relationships — with others, with God, and finally, with yourself. Susan states in the introduction that she initially wanted to begin with the “loving and accepting yourself” section, but she realized that most people were carrying so many wounds from rejection by their families and their churches that those relationships needed to be addressed first. Although my first instinct was the same as hers — let’s start with self-acceptance and move forward from there — the ordering of the material makes a lot of sense. Ideas and beliefs that are unpacked and confronted in these earlier sections end up providing the groundwork for self-acceptance and healing. The last section is actually the shortest of the three, which may seem odd in a book whose subtitle is all about loving the real you; but by the time that section is reached, there will already have been gains and shifts in seeing yourself as a person to be loved and celebrated. Each chapter contains wisdom, reflection, and personal stories either from Susan or from others. Interspersed among the stories are what she terms “FreedHearts Work”— questions to reflect on and journal through. The questions open up so much possibility and potential for writing that the blank spaces provided in the book are not enough. Readers may find they need an additional journal or notebook. The insightful exercises could open up some deep areas of healing, but also areas of deep pain. In her introduction, Susan encourages readers to recognize when they are triggered, then take a break and come back to it. Because of my clinical work as a therapist who primarily sees people whose trauma runs very deep, I would feel hesitant about letting people work through some of these exercises on their own. If a person is severely triggered, the advice to “just move through it and get to the other side of it” may not be sufficient. If you do have a history of significant trauma from either your family or your church, you might want to make sure that you have some strong coping skills and a support person on call before you tackle some of the exercises. One of the most valuable areas for me was the heavy emphasis on the need we all have for community and connection. The author stresses the need that all humans have for touch, holding, and being surrounded by others from infancy onward. Why should we ever grow out of this need? When I discuss this with my clients, I often remind them that we are mammals as much as spiritual beings, and mammals are pack animals. It’s the gazelle on the edge of the herd who is most vulnerable; and, in the same way, when we are alone or isolated for too long, our fears become scarier and our sadness deeper. 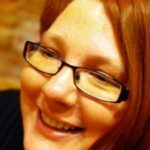 Finding healthy community is essential for our wellbeing, and Susan gives some helpful guidelines on what those groups of people can look like, and how we can seek them out. In the main text of the book, Susan sticks to the big picture — a loving God, the need for having accepting and loving people in your life, and your own goodness and value as a child of God. She avoids getting sidetracked by discussions which would take away from the personal nature of the work and distract from the healing being offered. However, she does include five appendices which go into more depth on some of the areas touched on. The first appendix on setting boundaries, adapted from the work of Josh McAdams, was clear and comprehensive, providing something I can see myself referring to frequently as a teaching resource for all kinds of relationship contexts. The third appendix is another especially outstanding one in its reframing of some Biblical stories that are often used against LGBTQ people, and it gave me a whole new appreciation for the story of the prodigal son and his older brother when retold through a queer lens. There is wonderful creativity and Spirit-inspired wisdom here, and this could make an excellent starting point for a Bible study or even a homily. The book itself does not have additional resources (apart from footnotes and references to authors or scriptures cited); instead, readers are directed to the FreedHearts.org website for those materials. While I understand that this allows for online links and websites to be kept up to date (and easily clicked on! ), I would have also appreciated having a list of helpful books, or contact information for national organizations, such as PFLAG or Fortunate Families, included as well. Susan’s theology is overwhelmingly inclusive and accepting. She trusts deeply in the love of God for all people, and it shows in every word. This loving, large, expansive God is contrasted with the “in a box” God as seen in many churches and leaders and theology. It’s a simple image but one that helps make a reality check as to the truth of a particular teaching or belief. Susan does not hesitate in demolishing toxic ideas about Christianity, such as God as a punishing judge, or teachings that you are somehow responsible for Jesus’s happiness, or threats of going to hell. I also appreciated her very clear message that the job of healing and growing is God’s to do in you — not yours to make happen. For those of us who tried hard to be “good little boys and girls” to hide the shame we were struggling with, the idea of being able to relax and trust God that we are exactly where we are meant to be is immensely liberating. The book also contains one of the most powerful exercises to unpack a person’s image of God (and its origins) that I have come across. I won’t spoil it in a review, but Susan has found a way to make what is sometimes simply heard as a truism into a powerful experience that can be felt at the heart level. Throughout the book, Susan has achieved the extremely difficult task of avoiding gendering God. She uses no pronouns for God, and keeps a balance of male and female imagery for describing the divine. Most impressive of all, she has managed to work this into her writing style without this choice impacting the flow of her language. There is no awkwardness or clumsiness as there sometimes can be with inclusive language, and it may even take some readers a while to notice that God is simply… God. In the section on letting go of our negative understanding at God, she challenges the simplistic images of God as either the Wicked Witch of the West or the old man with a beard, and encourages the use of either “Daddy” or “Mama” for opening up to a gentler, more loving relationship with our Creator. In keeping with her “big picture” approach to theology, Susan doesn’t get caught up in details or Biblical analysis. Instead, she roots her work in an overall sense of what scripture has to say about God, emphasizing God’s love and acceptance of all of us, and this becomes her litmus test for a healthy theology. I would have appreciated maybe a short resource list of some of the books that do address the “clobber passages” in more depth, however — especially for those who need to find ways to make peace with individual scripture verses. The book is definitely Protestant in its worldview. I winced a little at one minor comment about the procession and incense used in churches being taken from the pomp of the Roman empire and emphasizing power. There are Catholic and Episcopalian churches who manage both procession and liturgy and also preach kindness and inclusion. I know, because I worship in one of them! Susan’s tone is warm and caring, and often deeply personal. She speaks directly to the reader, and adopting her tone is a helpful start to finding your own inner voice — particularly for those who aren’t used to being spoken to kindly and lovingly. For me, that tone of familiarity was something I struggled with at certain points in reading the book, possibly because I am British and steeped in that cultural “stiff upper lip” attitude. It may also relate to my own family’s communication style, which valued logic and rational thought over emotional reactions. Or it may be that the walls that I still have up for my own protection occasionally meant having to hold back an internal eye roll at some of the things she was saying to me — a sense of “come on, you don’t even know me.” I’d be curious to see if that is different for American readers. But the overwhelming sense of the book is one of kindness, and that is so important in a world where gentleness is too often trampled upon by harsh, insulting, hurtful speech. Susan uses the metaphor of our lives being like journeying through a “wild wood” — there are no wrong paths or choices, each one leads to a different adventure and a different view. There is no judgement for how people may have lived their lives. Instead, the reader hears nothing but love and acceptance throughout all three sections. This especially stood out to me when she writes about the way in which our parents can sometimes hurt us. Susan takes every care not to blame or shame the parents; instead, she holds that very delicate balance between acknowledging that, in most cases, they were doing the best that they could, yet not minimizing the damage and hurt that it can cause. In the same way that Troy Perry assumed that there would be little or no need for Metropolitan Community Churches to continue as a denomination since he was sure that the mainstream Christian culture would catch up and start accepting LGBTQ people, it is sad that there is still a need for this book in the 21st century. However, I am very grateful that there now exists such a powerful resource that offers wisdom, insight, and healing for both LGBTQ people of faith, and for those families and churches who wish to accompany them on their journey. This is not a book to rush through and skim. 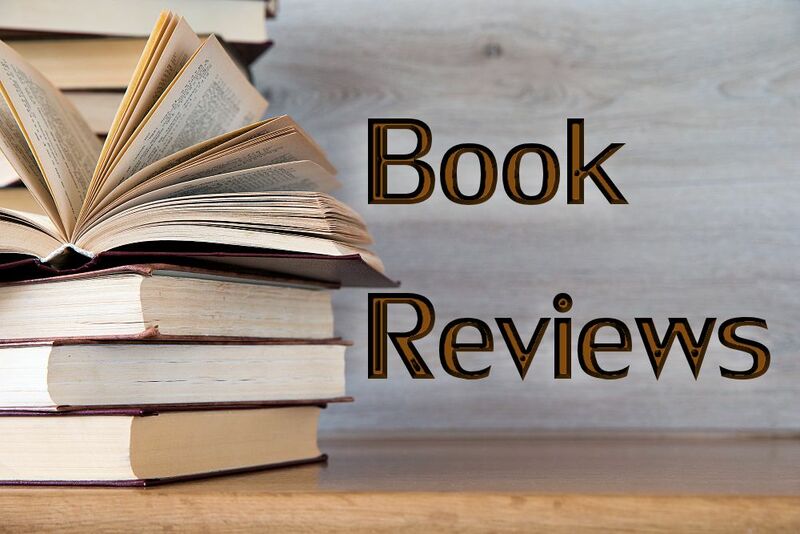 It is a book that needs time and a slow gentle pace to be worked through and absorbed, and one that will continue to open up new insights and growth on each re-reading and re-visiting.